A chill is in the air. Pumpkins line neighborhood doorsteps. Grocery stores can’t keep those little, bite-sized candies on the shelves. This can only mean one thing: It’s time celebrate Halloween! Now, trick-or-treating is nice, but don’t let your little ghosts and goblins have all the fun this year. 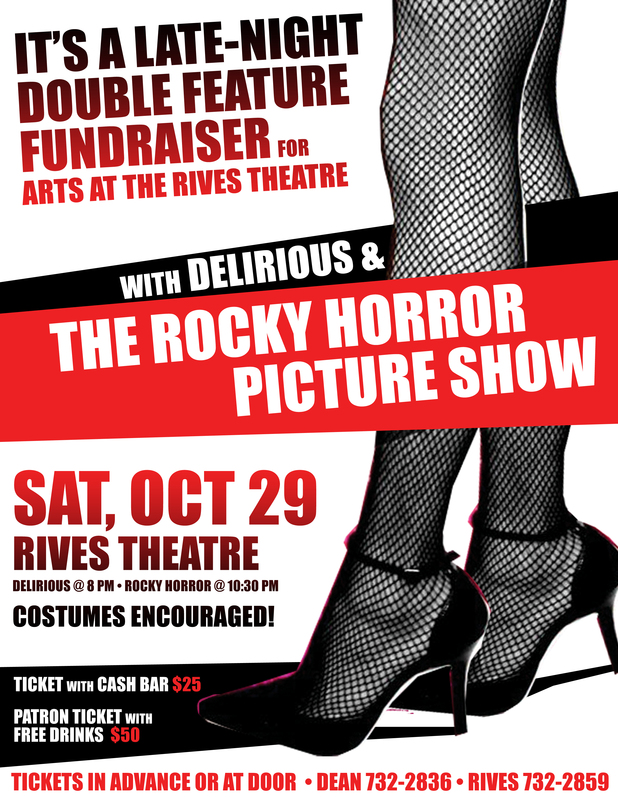 Join Arts at the Rives Theatre for a special fundraiser featuring live music by Delirious and a late-night showing of everyone’s favorite cult classic, The Rocky Horror Picture Show. What better way is there for adults to participate in the costumed-glory of the spookiest holiday around? They’ll be treats for everyone from Wild Magnolia and Patron Ticket-holders get free drinks! Worried about a costume? Don’t be. They are completely optional. But, if you are need some clever ideas straight from the movie, check out these DIY tips. Lots of fabulous accouterments can be found at an aptly-seasonal costume shop or at your local thrift store. The evenings festivities will begin when Delirious takes the stage at 8 PM. Rocky Horror will begin at 10:30 PM. Oh, and come prepared for audience participation!